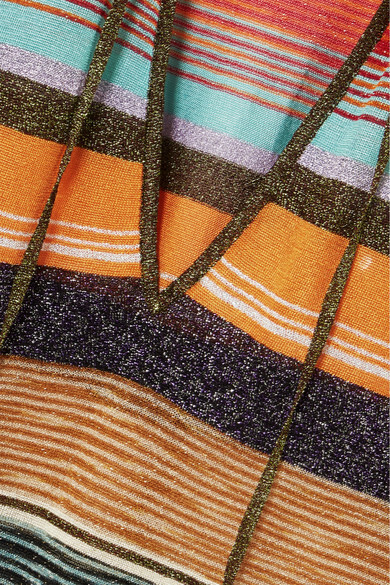 After more than two decades at the creative helm of the Italian label, Angela Missoni admits her mind is like a mosaic of rainbow-colored memories. 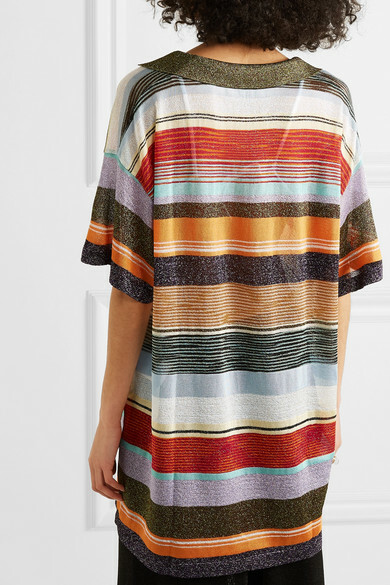 This oversized striped top is spun with shimmering metallic threads and has languid ties dangling from the collar. 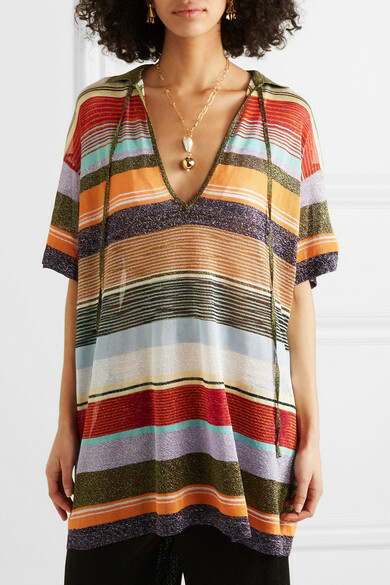 The fine knit is quite sheer, so you'll need a camisole or bikini underneath. 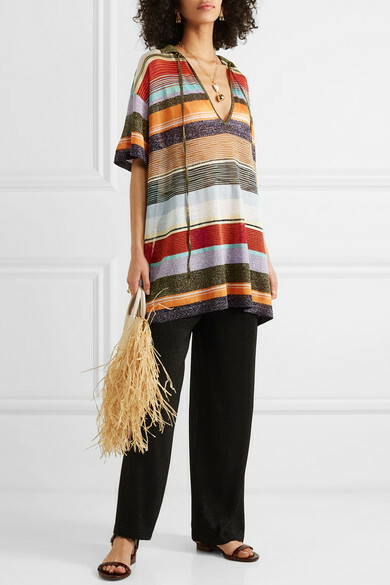 Shown here with: Missoni Pants, Eres Bikini top, Jacquemus Tote, Chloé Sandals, 1064 Studio Ring, Lucy Folk Earrings, Mounser Necklace.